So you have retired or left your current position and now want to transfer your inactive 401k, 403B, or pension plan to an Individual Retirement Account (IRA). While this IRA classification may give you a much greater selection of investment options, the transfer also carries the risk of selecting the wrong custodian that will oversee and report on your accounts value to the IRS. Having worked with dozens of custodians over the last 30 years, I can attest to the fact that not all are created equal. In fact, I have heard 1000’s of nightmarish stories. From custodians being impossible to get in contact with, to firms submitting the wrong 1099’s to the IRS after a distribution. There is even one IRA custodian in Ohio has has sent inflated 1099’s to the IRS on behalf of their clients for several years in a row. Avoiding such catastrophes is why I created this “7 Things to Consider When Choosing a New IRA Custodian” worksheet. How long has the custodian been in business? New is never good when selecting a custodian. You should check with the US trademark search tool to see when the brand name was established. Also check to see when their online presence was created using the Wayback machine. My recommendation would be to not consider a custodian with anything less than an 6 year track record. Call your prospective custodian at 4 PM their local time and see if they get back to you the same day. Having a responsive custodian is an important issue and should be a top priority for any investor. Custodians that get back to you 24 to 48 hours later should be dropped from consideration. Check the reviews for each fiduciary and remember that anything more than 1 negative for every 12 positive comments could mean you should keep looking elsewhere. Decide if you want a brokerage firm authorized to make investment decisions on your behalf or a self-directed retirement account. 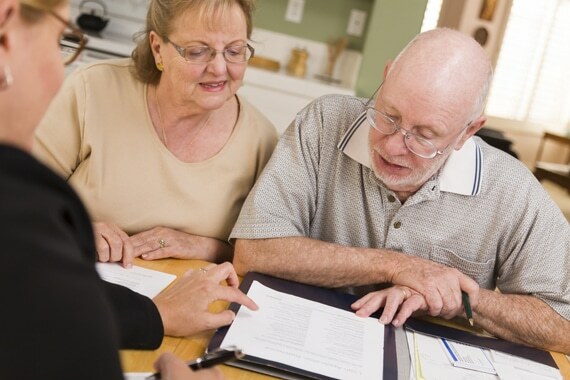 Full service firms may seek to gain control of your decisions through a power of attorney while self directed accounts will require you to authorize every buy or sell transaction. Know what asset class you want to invest in before transferring. Many of the larger traditional brokerage firms will have very limited investment options where as self directed custodians may allow single ownership real estate deals, gold and silver or even bitcoin allocation. Processing time is also something to consider. I once helped a client with a rollover and the custodian she started with took 4 days to open an account and 90 days to close it. The client suggested that maybe they were taking so long in the hopes that the account holders would die before they had to let go of the funds. Although I did not agree I must agree that the 90 days was certainly excessive. It’s always important to see their printed fee schedule. You may find giant transaction fees. In fact I once discovered a firm that charged 8% of the accounts value just to close the account. The deceptive notification was in small print buried at the bottom of the fee schedule. If your still having trouble finding the perfect custodian feel free to call my Fort Worth office at 214-736-8358 and I can generally point you in the right direction in a few minutes or less.